Vacation should be less stressful than your everyday life, but that isn't the case for a lot of parents. Here are 10 tips on stress-free travel with kids. Heading on vacation with your children? Traveling with kids can be overwhelming, especially if it's your first time. Your vacation is meant to be enjoyed and bringing the kids along should only enhance the experience. But between long flights, time changes, and car rides, you may find yourself exerting more energy on your vacation than you do at home. Not to worry! 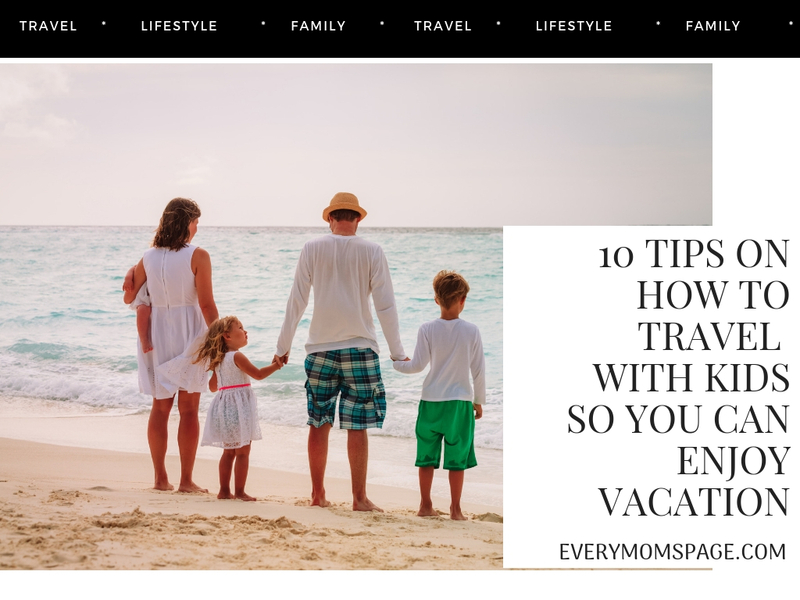 Read on to learn the 10 ways to make travel with kids stress-free. There are pros and cons to each time of day but generally, it's best to fly early in the morning or later in the evening close to your kids' bedtime. When you fly early in the morning, you're able to deal with any flight delays and more likely to catch another flight should yours get canceled. Getting to the airport with a small child is challenging enough, you don't want to make the trip twice or get stuck at the airport overnight. In the morning, your child will be alert and ready to go so they'll be able to follow directions and pay attention to you as you guide them through the day. On the flip side, flying closer to their bedtime could be easier when it comes to the actual flight. They'll be tired and likely to just fall asleep as soon as you take off so you don't have to worry about entertaining them. The one thing you want to try to avoid is getting to the airport around their naptime. They'll be cranky and moving them through the lines and security won't be fun. You'll also run the risk of them missing their nap and being entirely off schedule which will also make the flight itself more challenging. Really think about what your child needs and will use. You don't want to over-pack because bringing the essentials will already take up space. You'll have to manage your child and the items they use regularly. When you're packing, consider where you're going and for how long. You want to give your child a few options, especially when it comes to playing games or using toys, but you don't need to overdo it. Two or three options are plenty and you can alternate between them. Does your child have a favorite stuffed animal? How about a special blanket? Whatever their comfort item is, bring it on the trip. It will soothe them if they become upset and make them feel safe in a new place. This can be especially helpful during nap time and nighttime. You may want to bring more than one just in case an item gets lost or dirty on the vacation. If you will be traveling with a toddler or a baby, do not forget to bring stroller for convenience. And ofcourse, to keep all your baby's essential items in one place, investing in a reliable and durable stroller organizer is a smart idea. Pack layers and forgo items with lots of ties or shoes with laces. This will make it easier when traveling with small children, especially as you make your way through airport security. Opt for shoes with velcro and easy to remove jackets, sweatshirts or pants with elastic. This small change will save you time when getting ready for the day ahead and stop you from having to spend your morning getting your child ready. The last thing you want to be doing at any point during your vacation is rushing. This is supposed to be an enjoyable time with your family and shouldn't be stress inducing. Traveling with kids can make things more hectic and is bound to take more time than if you traveled alone or with another adult. Give yourself plenty of time. This goes for drive time to the airport in both directions and time to get to activities and attractions you may do on the vacation itself. If you give yourself a buffer window, you won't be panicking if something goes wrong or you have to make a detour like a last minute bathroom stop. Trip planning can be a lifesaver when it comes to traveling with kids. Before you go on your trip, you should plan out some activities. Your travel should already be planned thoroughly with an idea of what time you need to leave for an arrive at the airport and how you'll get to and from your final destination whether it be a hotel or vacation rental. Once you're there, you want to have an idea of what's around and what's on the agenda for the trip. You can find a balance of kid-centered activities with ones that are more adult friendly. Perhaps in the morning, you want to take your children to do something special and the rest of the afternoon you want to spend relaxing by a beach or a pool so you can get some rest. This is a great balance since you'll be getting some of your child's energy out in the morning. When you reach your destination, you'll want to have an idea of where to eat. This could be a restaurant for a sit-down meal or a small grocery store or mart where you can stock up on snacks for the kids. It will be good to have bites to eat on hand for them throughout the day as you travel and you don't want to have to bring enough for the whole trip in your suitcase if you can avoid it. When you get to your destination, you'll have spent a long day traveling and want to know exactly where to go to get a good meal that you both you and your kids will enjoy. Talk to you kids about the upcoming trip to get them excited. Let them know where they're going and what to expect by showing them photos and letting them know about what kinds of things they'll do or see. This is a great way to get your children feeling positive and confident about the trip so they'll be eager to go and explore once it comes time to leave. As a parent, you already have a ton of patience. This will be an important thing to remember when traveling with your kids. Try to remain calm if things go wrong and don't worry about what the other travelers around you do or say. It isn't uncommon to get side stares from strangers on a plane if you have a screaming kid. Remember, you're doing your best and children can be noisy and act out. This isn't a reason to become stressed. Just stay calm and keep moving forward so you can enjoy your vacation. Be sure to research the place you're going thoroughly especially if it's out of the country. You need to know if your child needs a passport, a visa or any shots or pills before heading there. 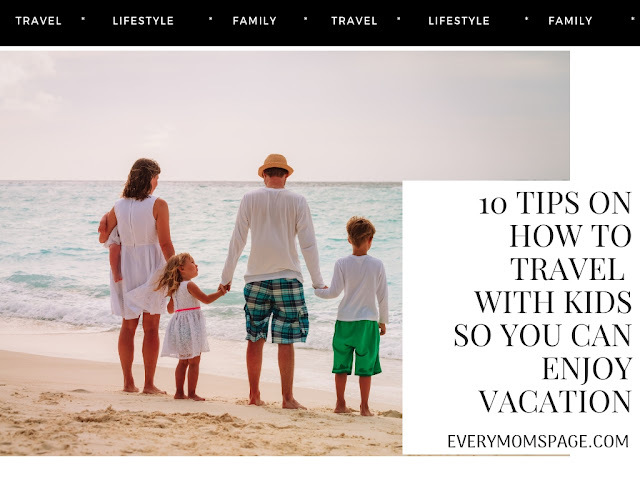 You can't be too prepared when it comes to travel, especially with children so do your due diligence and feel confident as you head on your trip. With the tips above, travel with kids can be enjoyable and memorable. Just keep in mind that planning ahead and preparing for delays or hiccups along the way will keep you from becoming frustrating when you get sidetracked or things go wrong. Be patient and remember you are creating memories every step of the way. For more travel tips be sure to check out the rest of our blog!